Hello dear friends! Stephanie over at Moonrise Book Review was incredibly generous and invited me to write this character interview for her collection! The interview has gone live as of tonight (here), and I’d love to share it with you (below)!! In a few seconds, you’ll be meeting several characters. Do not be deceived. While this might seem like an interview about Eiry Callas (our tragic Hero), it’s not. This is a character interview of Gavin and Galen Callas (The Twins). Who are they? They are post-modern Greek deities, underworld twin-gods who’ve seamlessly incorporated themselves into the human world. What motivates them? Chaos. While they could sit down and answer all your questions patiently, they’d rather not. You can discover so much more about a person in an hour of play than you can in a year of conversation… or so some guy named Plato once said. My approach to these interviews is to always let the characters speak for themselves, so you’ll be reading an interview scene that exists somewhere outside the timeline of the novel. The scene takes place in Eira, the royal city of Tartarus, inside Eiry’s apartments. 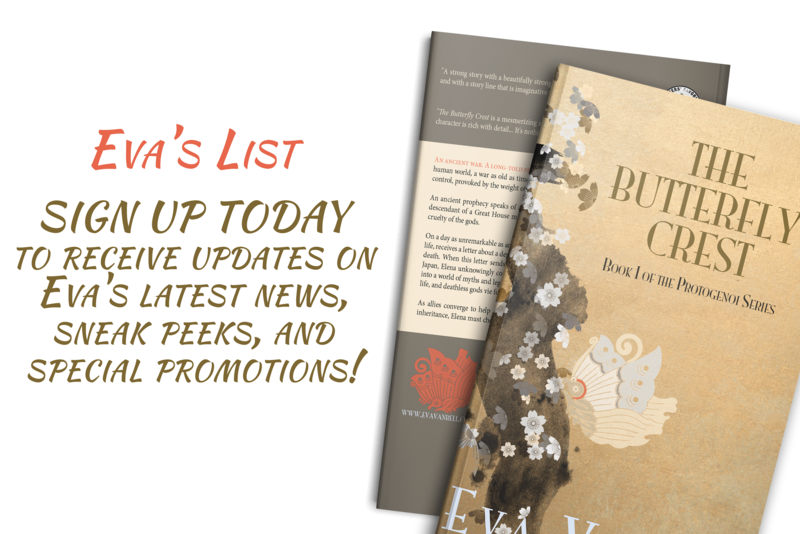 The knock at the door came just as Elena was sitting down to a hot cup of tea in her favorite reading chair. It was half past ten and she was alone in Eiry’s apartments. It was the first quiet moment she’d enjoyed all day, and had just pulled the throw over her legs when the sound broke the silence. Elena held her breath and stayed absolutely still. From the corner of her eye, she watched the door and waited. Hopefully, she’d imagined it. There was a reason she preferred Eiry’s study to the front room with its open archways and antique cases full of artifacts and old manuscripts—the study was small and private. “We know you’re in there,” came a familiar velvety voice from behind the door, dashing Elena’s hopes of staying under the radar. Elena was considering her options—and the rare fact that they hadn’t just barged in uninvited—when the doorknob rattled violently. It was followed by the sound of a scuffle behind the door, then a flurry of cursing and fervent whispers. Elena would have laughed, if she didn’t know better. Galen had obviously lost his temper and Gavin had put him in check. Elena took a deep breath and tried to stay calm. Being grabbed was bringing back unpleasant memories of the attack in Persephone’s courtyard and she was about to lose it with Galen, which was never a good thing. If she had been sensitive about her personal space before, the ordeal months earlier made her even more sensitive now. She had to remind herself that these were the twins, and she’d come to trust their brand of crazy. “Does it look like I care about Eiry’s feelings?” Galen smiled a devilish smile at his brother and then leaned forward, his long black hair spilling over Elena’s shoulder as he ran the tip of his nose along the shell of her ear and up to her temple. He took a deep, shuddering breath and then slowly stepped away, releasing his hold. “Me and the rest of my family, what exactly?” Galen put his hands up and stepped back, a savage smile spreading across his face. It reached his eyes, making them a sharper blue than usual. “You have an early day every day, and you have another thing coming if you think I’m making you tea.” Galen stared at Elena, defiant as he took a seat in the empty reading chair beside hers. He crossed his right knee over his left, careful not to wrinkle his designer suit, and began to braid his hair. “Questions? About what?” Elena focused on Gavin and tried to ignore Galen’s blatant staring. “No one’s above bribes,” the two assured Elena simultaneously, their gazes rising to meet hers at exactly the same time. “She wanted another one,” Galen answered with a shrug. “Something of great value,” added Gavin, doing his best to dangle his carrot. “A piece of paper…” Elena remarked, unimpressed. Elena stared at Galen, stupefied. “We’re going to go with saving me when I was a baby. Next question.” Photo or no photo, Eiry should thank his lucky little stars that she was helping. “You’ll like this one, Ele.” Gavin’s index finger stopped halfway down the paper. “What is Eiry’s most meaningful possession?” He let the question linger and then looked up from his paper to stare at her, pointedly. Galen’s response was deadpan, leaving Elena to wonder—but she knew that way lay madness. Even if such an elephant existed, which it most certainly did not, Elena doubted Eiry would want the whole world to know about it. That meant that Elena needed to come up with a better answer than Gavin’s. She tried to think back on the past few months, but no one possession stood out. In the front room there were piles of artifacts and curios Eiry loved, but Elena couldn’t say any of them were his most meaningful possession. “Gavin, are you serious? Is this really what Eva sent?” Elena was suddenly furious. “How would Eiry define a perfect love?” Gavin asked, his voice high-pitched by the time he got to the last word. “You shouldn’t beg, Gavin. It’s unseemly,” Galen chided his brother. Hello, and thanks again for tuning in! As I’d mentioned in my last post, I’ve been invited to participate in the Meet My Character Blog Tour. For this particular tour, authors interview a main character from a recently published or soon to be published work, and then tag other authors to keep up the chain of interviews the following week. It’s the perfect opportunity for readers to learn about these characters outside of the constraints of their stories, and for authors to promote not only their work but the characters that made their work possible. Lily Author writes mysteries and thrillers, and is the author of Eden Fell, a dark and modern fairytale that chronicles Eden’s life as she falls from grace. She is also a moderator of the Goodreads group Fringe Fiction. You can read Lily’s contribution to the Meet My Character Blog Tour here. Sarah Roberts is the author of Rokula, a Contemporary Fantasy novel about monsters, magic, arena fighting, conspiracies, jealousy, betrayal, love, destiny, and madness. Rokula is the first installment of The Rokula Saga. For more information, check out The Rokula Saga website here. Like Rokula on Facebook. You can read Sarah’s contribution to the Meet My Character Blog Tour here. Ryan Gladney is the author of Nine Lives of Adam Blake, a contemporary novel set in Minnesota that combines elements of speculative fiction, urban fantasy, philosophical fiction, coming-of-age, and literary fiction. You can read Ryan’s contribution to the Meet My Character Blog Tour here. 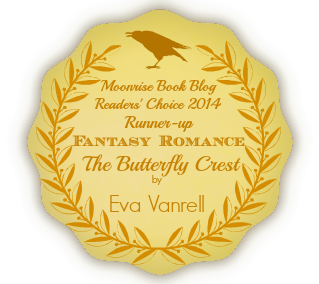 In a few seconds, you’ll be meeting the lead characters of my debut novel, The Butterfly Crest. When I was considering how to set this up, I decided it would be best to let the characters speak for themselves. As a result, you’ll be reading an interview scene that exists somewhere outside the timeline of the novel. Relief washed over Elena as she stepped out of the blistering summer heat and into the cool, air-conditioned atrium of a restaurant. Looking down at her watch, she was thrilled to see she was only five minutes late. The moment the door closed behind her, the sounds of the street outside fell away and were quickly replaced by the clamor of patrons enjoying their lunch. There was always something frantic about the energy inside a New Orleans restaurant; a joie de vivre, as Cataline would say. It was impossible not to be swept up by it, and Elena couldn’t help but stop and take a moment to enjoy it. Her moment, however, was cut short by the sound of an unfriendly, yet familiar voice. “Ah, Ms. Vicens, you’re finally here. He’s been waiting,” the host called out to Elena in a brisk tone, raising his hand to wave her over from the entrance. “Come along,” he added, looking her over disapprovingly, before turning on his heel to lead the way. Elena stared at the man’s back for a few seconds and then fell into step behind him, following along the familiar corridor to the private dining room reserved for the Callas family. Thankfully, the short walk was a quiet one this time, and the host didn’t linger once he showed Elena into the room; his attempt to walk her to their table had been met by a violent stare from the room’s only occupant. Tall and slender, with pale blonde hair and ice-blue eyes, the man was dressed in an impeccably tailored suit, his hair worn short and perfectly groomed. He appeared to be in his late twenties but was much older than that, and his fair skin was so pale it reminded Elena of snow. Since the day they’d met, this was exactly how he always looked, except for the few times Elena had seen him lose his composure—and those moments were few and far between. “Tell me you didn’t walk here,” he said to Elena as he met her in the center of the room and led her back to their table. After helping her into her chair, he took his seat across from her and waited patiently for her response, the hint of a smirk ghosting his lips. “I did. It’s a beautiful day out.” Elena set down the piece of paper she’d been holding and reached for the glass of water on her side of the table; the walk had left her parched. Elena would have said more, but they were interrupted by a waiter who came to take their drink order. He seemed overly nervous, his hands shaking as he took their order and then quickly made his way out of the room once finished. “Do you always have that effect on people?” Elena asked, watching as her companion read over the email which he’d snatched up from the table while the waiter had been doing his job. “You realize this is probably why she’s asked me do the interview, right?” Elena said with a shrug, ecstatic when the nervous waiter returned with their drinks; a little alcohol would go a long way right about now, assuming the waiter didn’t drop his tray on account of his nerves. “Did you sneak out?” he asked, amusement coloring his eyes. He leaned forward and watched her intently, resting his chin on his hand. “That wouldn’t really help unless I’d seen the year, right?” Eiry offered Elena a warm smile—his version of a peace offering—and then stood from his chair. He reached into his pants pocket and retrieved a vintage cigarette case. Placing it on the table, he resumed his seat and began to search for the lighter in his blazer. Elena watched him quietly, enjoying the way he went about things. His pace was never hurried, and his manner was always graceful and controlled. When he found his lighter, Eiry removed a cigarette from its case and then settled back into his chair. And there you have it, folks—an afternoon lunch with Elena and Eiry. The scene turned out a little longer than I anticipated, but I hope you enjoyed it. Without further ado, here are the four authors I’m tagging for next week. Meet their characters next Monday, July 21st! Lisa Jones is the author of The Prophecy, a fantasy novel and retelling of the Arthurian legends. It is the first book in a trilogy. Lisa’s second book, entitled Redemption, will be available later this year. Ben Starling is an Oxford grad who is passionate about marine conservation and boxing, both of which are central themes in his upcoming novel. He is currently Writer in Residence for Mirthquake Ltd., a production company that advocates for ocean health and welfare. Patrick Wong writes Young Adult fiction with a paranormal twist. His debut novel, Balancer is about a teenager who has the power to balance Life. You can find Balancer on Amazon here. Selah Tay-Song is the author of Dream of a Vast Blue Cavern, an epic fantasy novel that tells the story of Princess Stasia of Iskalon, who, in the aftermath of war, must keep the remnants of her kingdom intact, and her only hope is a prophetic Dream that may lead her to a new home for her people. This week’s image is “Poppies” by Katsushika Hokusai, a Japanese ukiyo-e painter and printmaker of the Edo period, who is best known as author of The Great Wave off Kanagawa.